The media giant has been banned from substituting U.S. ads with Canadian ones. The Bell logo on the company's building in downtown Montreal, February 9, 2011. Bell is appealing a CRTC decision that bans substituting U.S. commercials for Canadian ones during the Super Bowl. TORONTO — Six months ahead of the next Super Bowl, Bell Media is re-launching a fight over the CRTC's decision to ban substituting big-budget American ads with Canadian ones during the big game. 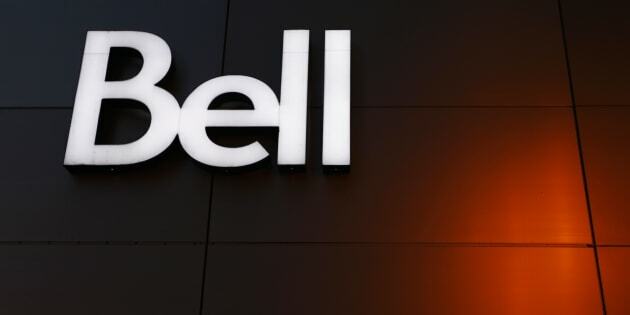 Bell is part of a group, which includes the National Football League and unions representing Canadian creators and advertisers, citing a new research report that estimates the new ad rules cost the Canadian economy $158 million. The Canadian Radio-television and Telecommunications Commission's ban on simultaneous substitution of Canadian advertising over American broadcasts during the Super Bowl was announced in 2015 but took effect during this year's game. The report, which was prepared by a media-consulting company for Bell, claims the CRTC's decision reduced audiences and advertising revenues, and moved advertising dollars out of the Canadian television system. Bell claims its advertising revenues dropped by $11 million and it lost 40 per cent of its audience for the football game. CRTC spokesman Eric Rancourt said the regulatory agency is assessing the application and has no comments at this time, but will announce next steps in due course. Bell also launched a Federal Court appeal late last year. Spokesman Marc Choma said no court date has been set, but the company expects the case will be heard in the fall.